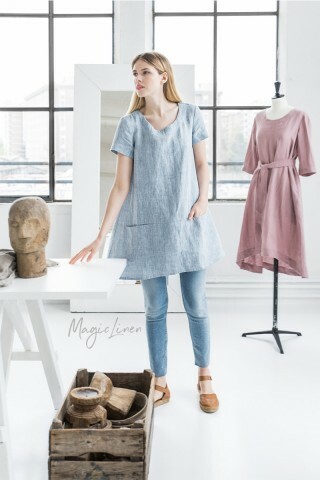 Linen shirt available in all MagicLinen clothing colors. 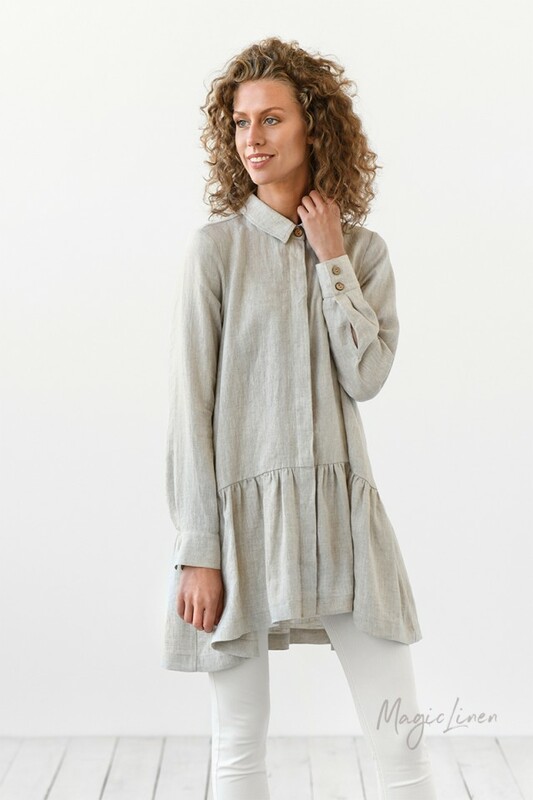 Designed to have a formal-looking collar and a romantic, flowy ruffle trim on the bottom, this shirt combines class and playfulness. 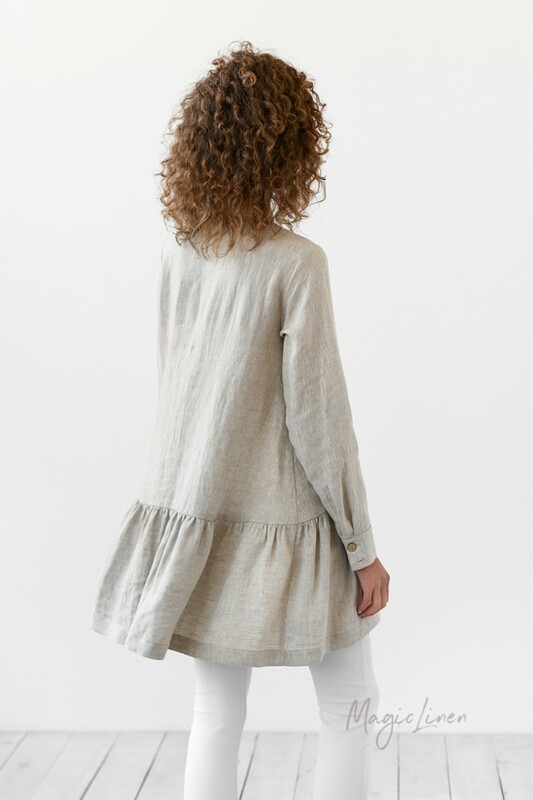 The sleeves can be rolled up for a more casual look. 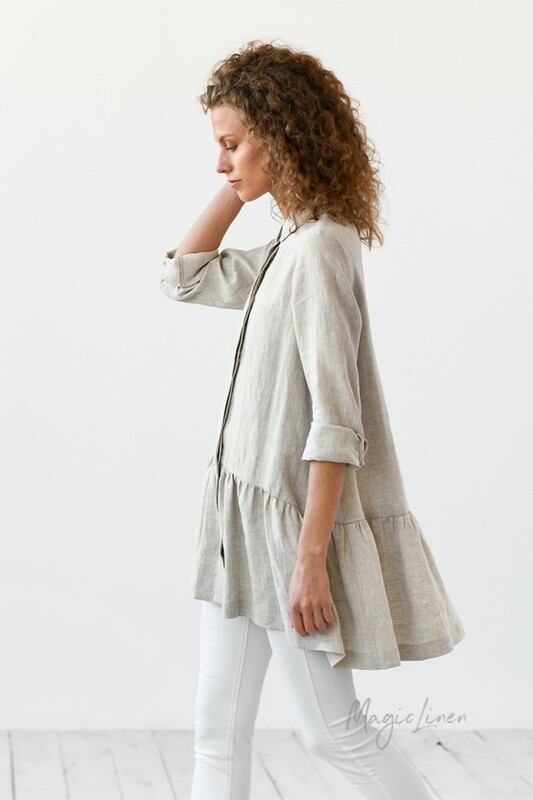 Soft, lightweight, and breathable, it is a perfect addition to your Fall wardrobe. Relaxed fit. Questions about the fit? Check our size guide!